Oysters on the half shell are a delicacy enjoyed around the globe. Recently, raw shellfish has seen a surge in popularity among American diners. This increase in consumption has led to increased awareness about the health risks associated with eating raw shellfish. Here are some tips to keep yourself and your shellfish safe. Vibrio vulnificus and Vibrio parahaemolyticus are common, naturally-occurring bacteria found throughout warm waters of the Southeast and Gulf coasts. In rare cases, these bacteria can cause illness and infection when ingested. People with compromised immune systems are at highest risk. If you have any of the following conditions, you should avoid eating raw shellfish: Liver disease, diabetes, alcoholism, cancer, weakened immune system, kidney disease or failure, HIV/AIDS, stomach disorders, iron overload disease, even a common illness like the cold or flu can weaken your immune system. People with these conditions don’t have to miss out on shellfish completely, though. Cooking shellfish destroys the bacteria making it safe to eat. There are lots of wonderful recipes for baking, steaming, or grilling oysters and clams. 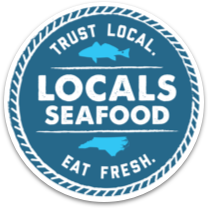 Once you buy fresh shellfish, keep it refrigerated until you are ready to prepare them. Thoroughly clean the shells, removing all mud and dirt. Discard any dead shellfish: these will have gaping shells that do not close when tapped on. For more information about Vibrio, see the N.C. Department of Health and Human Services’ website here. You can also find national references at www.safeoysters.org.